We interrupt your usually scheduled program for this little announcement. Today we are burying my grandfather, who passed away on April 18th. So instead of the usual pattern Thursday I want to share with you the pattern I made for him a few years ago. 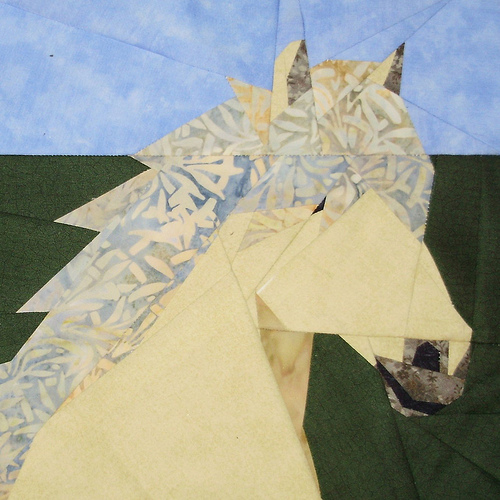 Made from a photo my sister took of one of his horses here is Icehorse. Thank you for being understanding and I welcome you back next Thursday for another pattern Thursday. This entry was posted in craftsy. Bookmark the permalink. Many hugs and much love to you and your family for your loss.